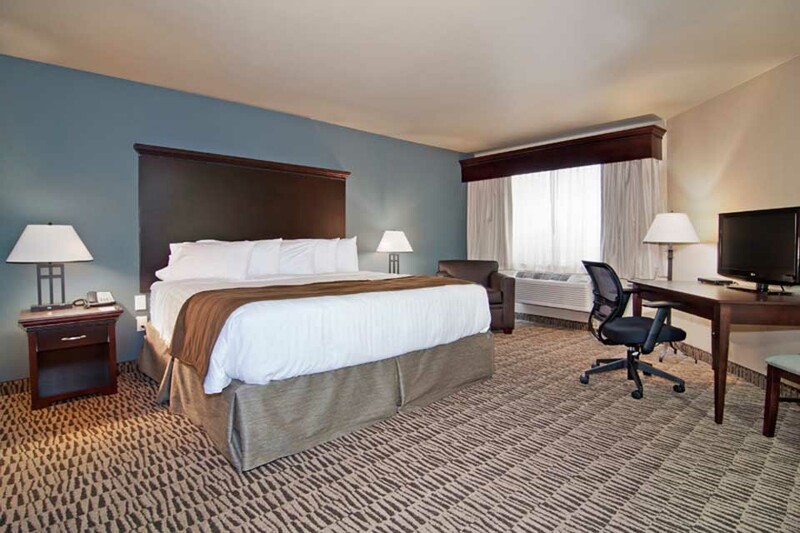 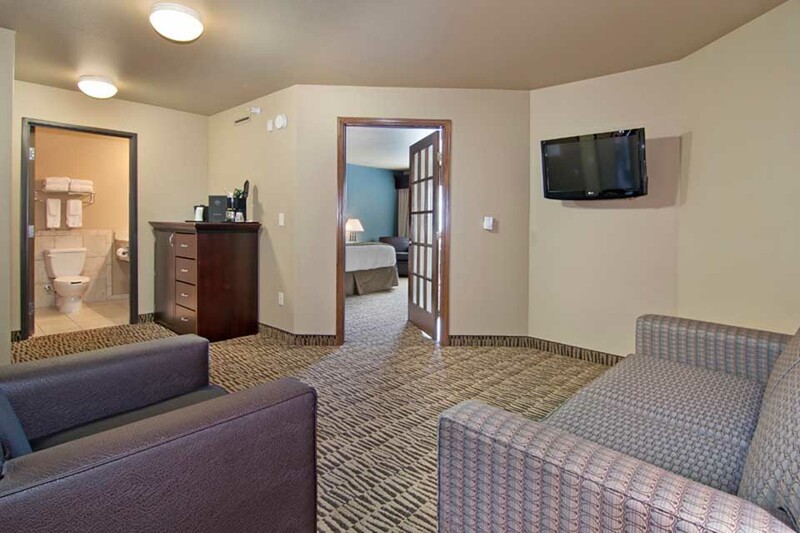 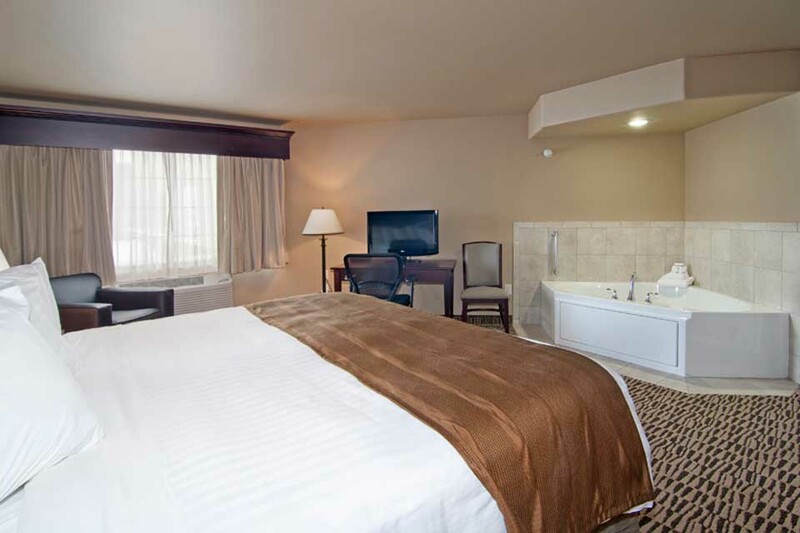 Enter into a 2 Room Suite with 1 King bed and full size sofa sleeper. 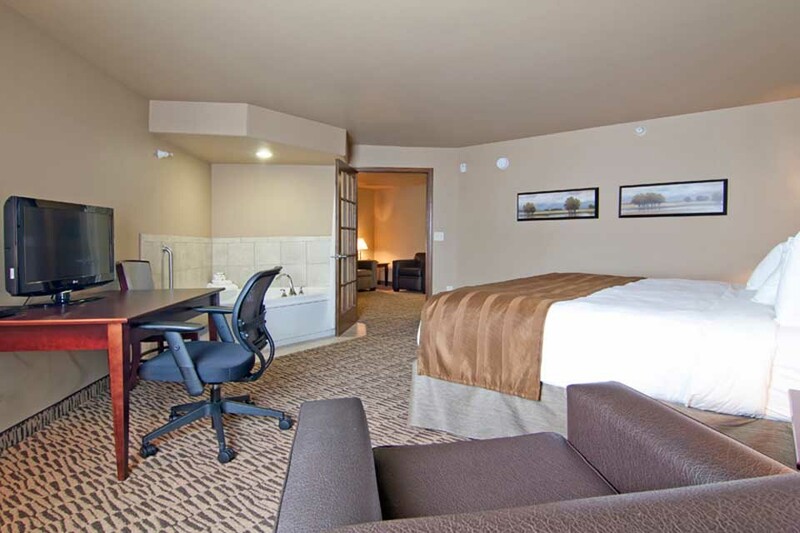 Also includes a dresser, comfy chairs, computer desk, flat screen television and a telephone that can make long distance and local calls. 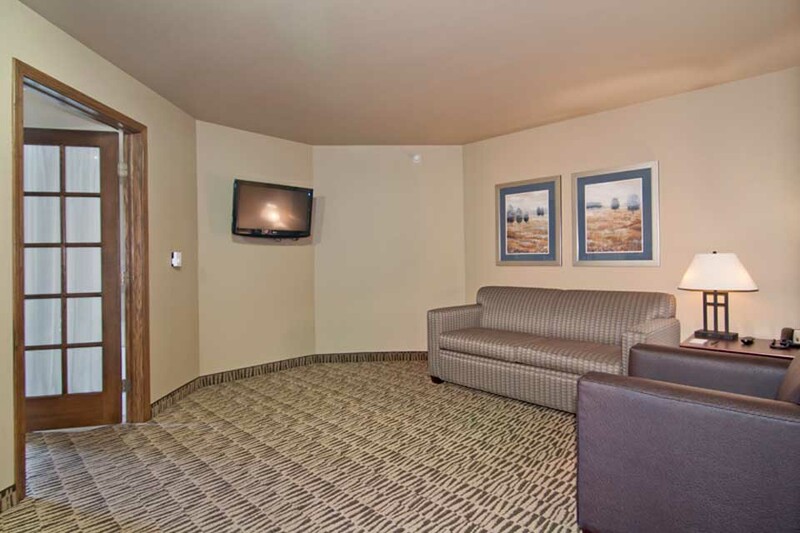 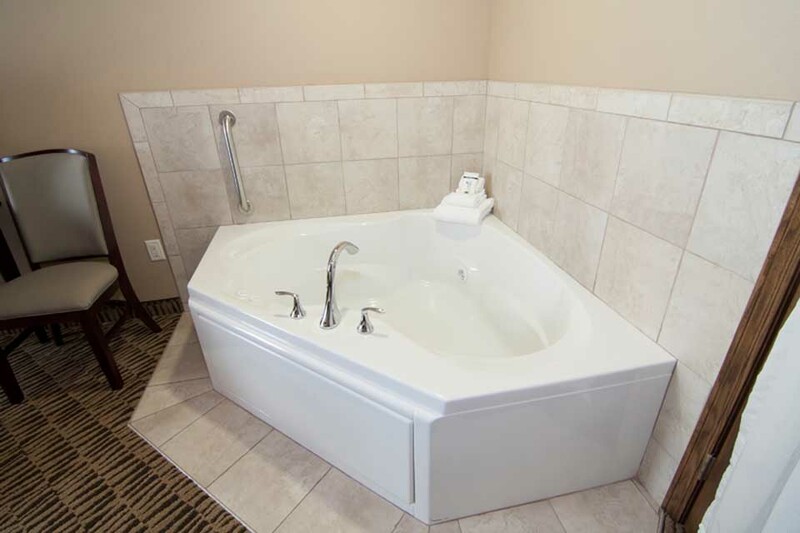 Some amenities included in this suite is a 2 person whirlpool, microwave, mini-fridge, coffee maker, iron and board, DIRECTV with 100+ channels and wireless internet.